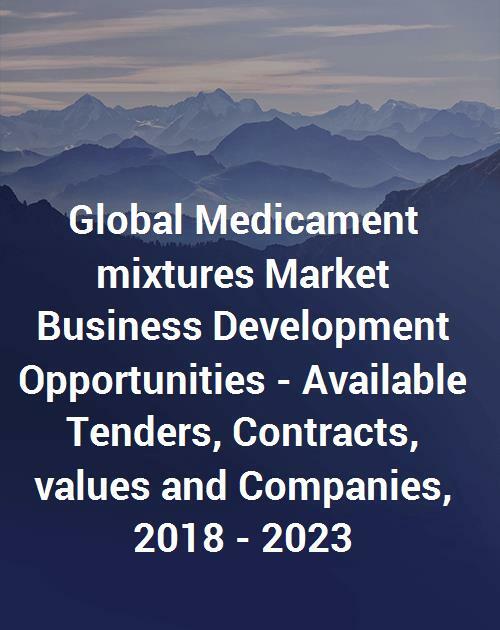 The global Medicament mixtures supply opportunities report compiles all major investment, bidding and supply opportunities in Medicament mixtures industry across the world. To enable our clients to gain from the vast opportunities being offered between 2018 and 2022, the Medicament mixtures bidding and procurement data is published in a report format for the first time. In addition to the potential opportunities for business development, the report provides the details of major contracts awarded over the past two years. It provides information on Medicament mixtures supply opportunities across the globe including Asia Pacific, Europe, Middle East, Africa, North and South Central Americas. Information on major contractors is also included in the research. Further, the contract value of global Medicament mixtures along with major contracting companies and markets is also analyzed in the report. Detailed information on tenders, contracts, awarding companies, opportunity information, contract start date, contract end date, quantity and contract value information for contracts is included in the report. This unique publication comes from the prominent global research publisher, who has experience in serving thousands of clients to date. For ease of handling bulk data, an accompanying spreadsheet is also provided with the report upon request.